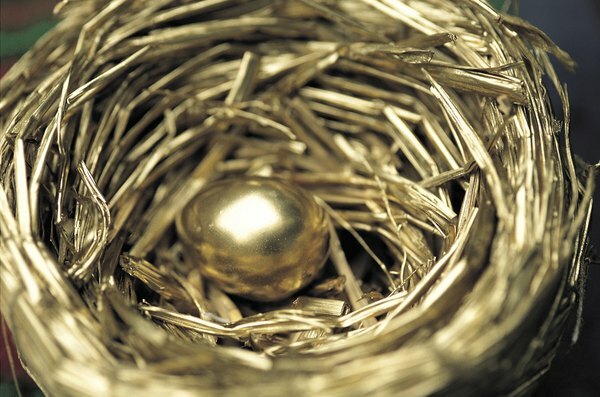 Many investors take their nest egg as a lump-sum distribution. Upon leaving a company or retiring, some qualified plans allow for a lump-sum distribution, rather than systematic withdrawals. What is done with the distribution determines the taxable amount. The Internal Revenue Service assesses a 10 percent penalty for an early withdrawal unless you qualify for an exception. It is wise to research your options before requesting a lump-sum distribution. Taking a lump-sum distribution and directly transferring it to another similar account, such as an IRA or Roth IRA is called a trustee-to-trustee transfer. A taxable event does not occur in such cases and no penalty is incurred. If the sending account was a Roth, the receiving account must be a Roth as well. The same is true of an IRA. This type of transfer is common when an employee leaves a company and doesn't want to leave her retirement money under the control of the departed company. If the check is written and sent to you to place in another account, it is called a rollover. Distributions from qualified plans are required to have 20 percent withheld for federal income tax. The 20 percent withheld is considered a distribution and is taxable unless the receiver makes up the difference. This can be a hardship, which makes a trustee-to-trustee transfer preferable over a rollover. The money must be deposited in another qualified account within 60 days or the entire lump sum is taxable, and if you are younger than 59 1/2 years old, a 10 percent penalty applies. If you take a lump-sum distribution and do not put it into another qualified account, the entire amount is taxable. For those younger than 59 1/2, an IRS 10 percent penalty applies. Some states also assess a penalty. This can be costly to the taxpayer. There are several exceptions in the IRS tax code that remove the 10 percent penalty. Some of the exceptions are using the distributions for a disability, first-time home purchase, an IRS levy or paying higher-education expenses. Some actions taken cannot be undone and may result in a significant tax liability and penalty. The Internal Revenue Code is complex and it is important to consult a tax professional before making your decision to receive a lump-sum retirement distribution. The tax ramifications are not the only consideration. You could lose a significant portion of your nest egg if you trigger a taxable event and incur penalties. IRS: Is My Pension or Annuity Payment Taxable?